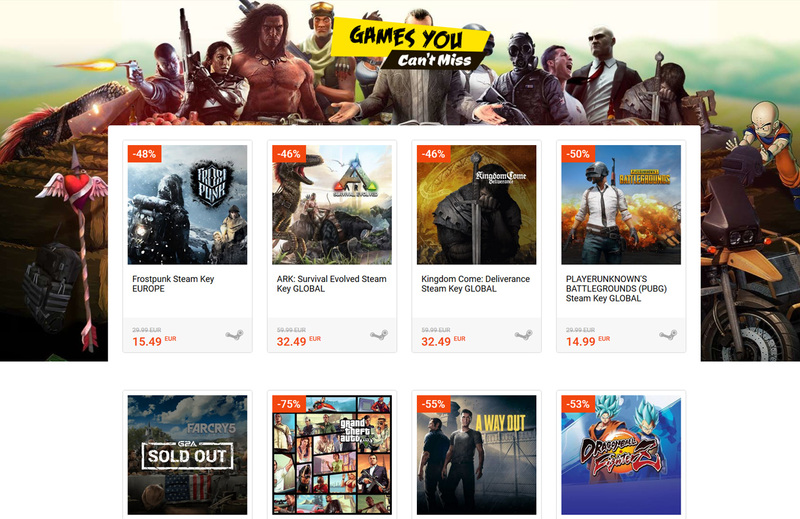 Here are some more great game deals this time priced under 10 Euro each in the Awesome Games Under 10 Euro Promo at G2A. Good chance to grab that cool game that you missed when it was released and have all the fun playing it now, enjoying it at a highly reduced rpice. The list of awesome games includes names such as: Counter Strike: Global Offensive, Rocket League, Sid Meier’s Civilization V: Complete Edition, Call of Duty: Modern Warfare 3, Killing Floor 2, Call of Duty: Black Ops, The Elder Scrolls V: Skyrim – Legendary Edition, DOOM, Space Engineers, Fallout 4, Battlefield 4, Call of Duty: Modern Warfare 2, Cities: Skylines Deluxe Edition, Mortal Kombat XL, State of Decay: YOSE Day One Edition, DiRT Rally, TrackMania 2 Stadium, Metro Redux Bundle, Fallout: New Vegas Ultimate Edition, Dead Rising 3 Apocalypse Edition, Naruto Shippuden: Ultimate Ninja Storm 4, Far Cry 3, Command & Conquer Ultimate Collection, Mafia III, Batman: Arkham Knight Premium Edition, Grand Theft Auto IV, Portal 2, Street Fighter V, SUPERHOT, Assassin’s Creed Unity, Just Cause 3, Call of Duty: Ghosts, Quantum Break, Company of Heroes 2: Master Collection, Call of Duty: Advanced Warfare, Assassin’s Creed IV: Black Flag, Borderlands: The Pre-Sequel, Bioshock Triple Pack, Saints Row IV: Game of the Century Edition and more. 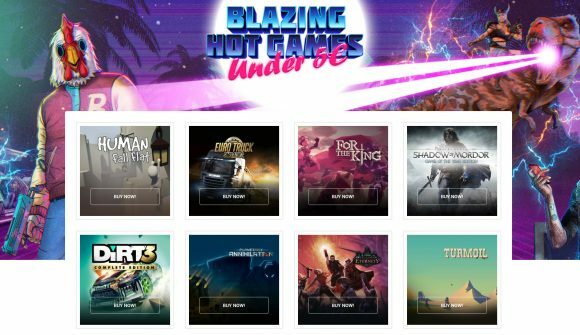 Time for some more great deals for oldies but goodies at the Blazing Hot Games Under 5 Euro Promo at G2A. Time to fill in some gaps in your game collection with titles that you need to play, but you may have missed in the past, don’t worry, you cans till catch up and at a bargain. 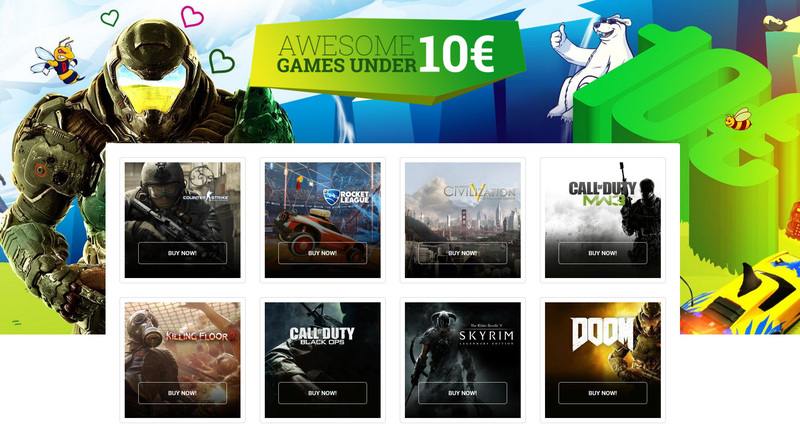 The list of games for under 5 Euro includes tiles such as Dirt 3, Shadow of Mordor GOTY, Euro Truck Simulator 2, Insurgency, The Sims 3, Fallout 3 GOTY, Killing Floor, Borderlands GOTY, Gothic, Goat Simulator, Assetto Corsa, Wolfenstein The New Order, The Witcher 2, This War of Mine, The Walking Dead, Grand Theft Auto Vice City, Company of Heroes 2, Borderlands 2, Batman Arkham City, South Park The Stick of Truth, Dead Rising 4, Tomb Raider, RAGE, GRID 2, Van Helsing, Max Max and more, so go check the list out. In the Games You Can’t Miss promotion currently on G2A you can stock up on some of the best games in the last few years for cheap if you have missed them when there were originally released… these are titles worth playing, so do not miss this chance to get them at up to 80% off. The list of games includes: Frostpunk, ARK: Survival Evolved, Kingdom Come: Deliverance, Playersunknown’s Battlegrounds (PUBG), Far Cry 5, Grand Theft Auto V, A Way Out, Dragon Ball FighterZ, Dark Souls III, Total War: Warhammer II, Northgard, The Crew 2, Project Cars 2, Assassin’s Creed Origins, Hitman 2, FIFA 18, Total War Saga: Thrones of Britannia, Football Manager 2018, Middle-earth: Shadow of War, Pro Evolution Soccer 2018, Need For Speed Payback, Vampyr, Sea of Thieves, Dying Light: The Following, Star Wars Battlefront 2, Call of Duty: WWII, Sniper Elite 4, Battlefield 1, For Honor, Wolfenstein II: The New Colossus, TEKKEN 7, Sid Meier’s Civilization VI.